The cruelty of football was evident in Round 8, with Birkalla falling to West Adelaide care of a goal in the 95th minute of the match. Assistant Coach, Barney Smith, tells that the result didn’t reflect the performance put on by the team. “The team deserved to get something out of the match against West Adelaide,” he said. “They kept the ball well and had enough of it to win the game. 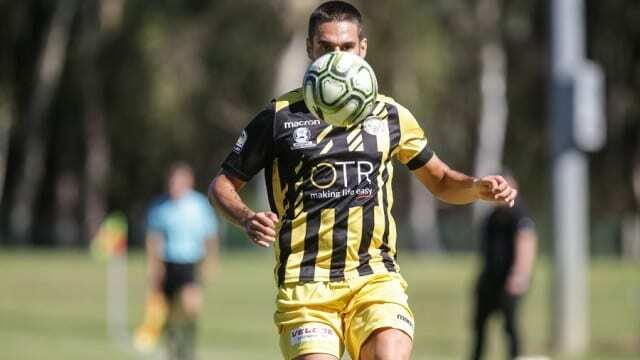 Unfortunately, some basic errors in defence gifted West Adelaide two goals, one being right at the end of the match after going level in the 92nd minute; a draw would have been a fair result. Despite only having 3 points on the board from 8 matches, Smith says the belief in the team is there. “A week is a long time in football, the squad is getting stronger and they know they are capable of beating any of the teams we are playing,” he said. “However, when things don’t go your way, it seems like the decisions and lady luck isn’t on your side. The main thing to do is to continue training hard, continue trying to improve and then give the best account of yourself and as a team on the weekend. Saturday, focus shifts from the League to the FFA Cup competition and a game away against State League 1 side, Adelaide Blue Eagles. “The cup game will be tough because Adelaide Blue Eagles are a strong team and club that should be in the top division,” said Smith. “We will try a few things out positionally and also based on the players available. We will rest a few that have injuries and reward those that have been waiting for an opportunity.